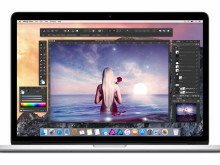 Award-winning Affinity Photo is celebrating its first birthday with a 20% discount in the Apple Mac App Store. 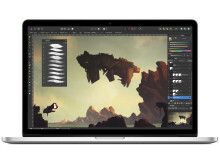 Until July 21, the professional image editing app for Mac costs just £29.99 / $39.99 / €39.99. That’s the only price customers pay – there’s no subscription. 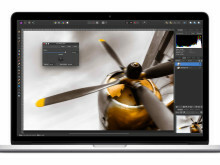 Chosen as Apple’s ‘Best App 2015’, and ‘Best Imaging Software 2016’ by the Technical Image Press Association (TIPA), Affinity Photo is equipped with all the power you’ll ever need. 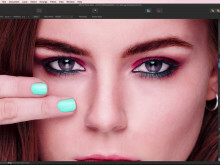 Live retouch tools work in real time and its speed means there’s no waiting to see your results. 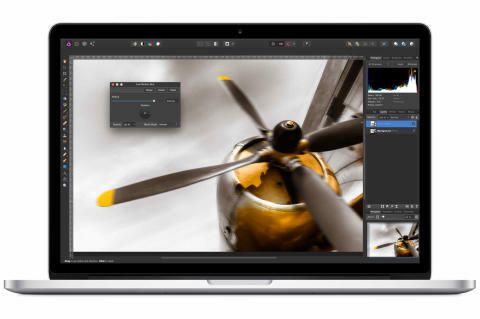 Non-destructive editing, raw processing and end-to-end colour management are standard, so Affinity Photo has all the accuracy and quality necessary to make beautiful images spring to life. 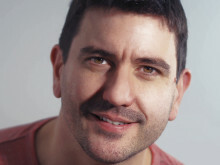 Ashley Hewson, Managing Director of Affinity Photo developer Serif, says: “We’re finding it hard to believe that Affinity Photo is a year old. It feels like no time at all since we were nervously launching it onto the Mac App Store, but the response has been phenomenal from the very start. 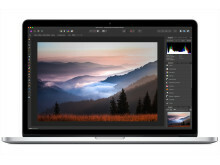 In the 12-month period since launch, Serif has pushed out four updates to Affinity Photo including hundreds of improvements and some big new features - all free to customers who’ve bought the app. They include image stitching in panoramas, live image stacks and Affinity Extensions for Apple Photos. 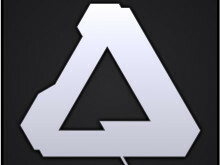 Affinity Photo and its sister app, Affinity Designer, deliver exactly what creative professionals need – thrilling speed, sophisticated tools, pinpoint accuracy and painless compatibility, coupled with an attractive, modern look. Used alone or together, the fast, powerful, processes fit gracefully into workflow. Single file formats make for easy switching between disciplines, while a saveable shared history means you’re always working on your latest version, no matter what Affinity product you’re using. Now the winner of over 200 awards internationally, with more than 6.5 million customers worldwide, Serif has more than 100 employees at its head office, development and European sales centre in Nottingham, UK.